Design– prototyping allows you to see early on if your app works properly or not as well as examine possible weaknesses in its design and functionality. User Testing – help discover problems or bottle-necks in your design. Design Collaboration – smooth the design process and simplify communication with your team members and stakeholders. According to founder Pieter Omvlee, Sketch was designed as an image editor for digital design. It is made specifically for Mac OS X users to design interfaces, websites and icons. Sketch works largely like Photoshop and Illustrator, but with more flexibility for UX designers. This is a desktop based user experience tool can be used to prototype for mobile and web apps quickly. With a singular goal to make the complex simple, Mockplus is an increasingly popular choice, especially for those focused on UX design. Because of the ease of use, the first-time users can master it in a very short time without programming knowledge. One of the flash-points of Mockplus is the visualized interaction design, that’s What You See Is What You Get. You could build lifelike prototypes without any coding, making it a breeze. For example, with just two clicks, you can make a button have one reaction when mouse down and another reaction when the cursor moves over it. If you are looking for a UX tool that is cheap and allows to create interactive prototypes in a minimum of time, Mockplus is an ideal solution you should not miss out on. XMind is a popular mind mapping tool. Millions of people use XMind to clarify thinking, manage complex information, run brainstorming and get work organized. This “mind mapping” software lets users list out with at-a-glance comprehension a project’s goals, threats, schedule, progress, requirements — anything, really, that free up your head space just by getting it down somewhere. XMind relies on visuals for quick comprehension, and lets you customize how you outline goals, progress, requirements, and problems. UsabilityTools is one of the most widely used UX tools for applying in-page visual analytics across websites and web apps. UsabilityTools helps you empathize with your users and shows you what’s working and what’s not, and most importantly, why. It allows you know what behaviors are tied to conversions or customer struggle. UsabilityTools lets you build customized behavior flows to see how users progress through your conversion funnel. Mockplus iDoc is a handy design collaboration and handoff tool for designers, developers and product managers to upload, prototype, comment, test, iterate and handoff designs online collaboratively and effortlessly. The automatically-generated specs, assets and code snippets help designers and developers save at least 50% of work time. Everything (such as Syncing designs/specs from Sketch/PS/Adobe XD, commenting designs, creating UI flows and interactive prototypes, checking and downloading design specs/assets, uploading prototypes from Axure/Justinmind/Mockplus and product documents, and design handoff, etc) can be done with simple clicks and drag-and-drop. Everyone gets 5 projects and 5 team members for free. Everyone registered can create 5 projects and invite 4 team members for free as well as unlimited collaborators. Marvel is a web-based app for simple design, prototyping and collaboration. It allows you not only to design user interface and icons with Marvel Canvas, but also to upload screens from local, Dropbox and Google Drive to add “hot spots”. With just a few clicks, you can link the screens together and turn your designs into interactive mobile and web prototypes. With the slogan “team communication for the 21st century,” Slack is a collaborative tool for keeping it all together. Slack gathers the most common communication tools like Google Drive, Twitter or Dropbox in one place, so the entire team is kept up-to-date. One of the essential features for UX designer is the ability to organize your team conversations in open channels. You can make a channel for a project, a topic, a team, or anything—significantly save time on communication between co-workers. Bad experiences on websites and apps, and in the real world, aren’t just frustrating for customers, they’re costing companies millions of dollars a year. User Testing make it easy for you to get on-demand feedback by recruiting users, administering the test remotely, and presenting you the results in an hour. You will get videos of real people speaking their thoughts as they use, together with written answers to the questionnaire that you have set. The service works for landing pages, emails, ad, prototypes, live sites, and apps. You can opt to have your test designed by an experienced in-house research team, or have a project manager come on to oversee that you accomplish your goals. Stylify Me was created by Annabelle Yoon and Michael Mrowetz to help designers quickly gain an overview of the style guide of a site, including colors, fonts, sizing and spacing. Color Safe was created by Donielle Berg and Adrian Rapp to help designers select color combinations that allow users to read their content regardless of different visual capabilities and screen resolutions. 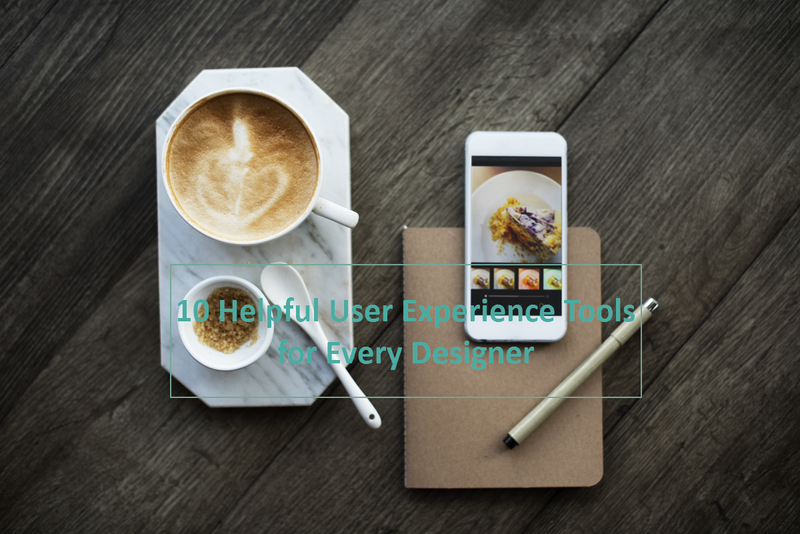 Tools in the field of user experience design are increasing every day and there is no best one, it depends on your needs. What’s your favorite UX tool? Feel free to try out these tools and leave your comments in the section below.